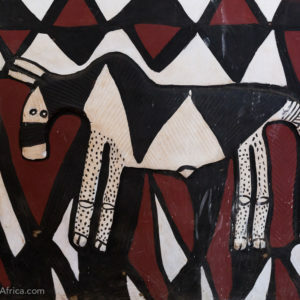 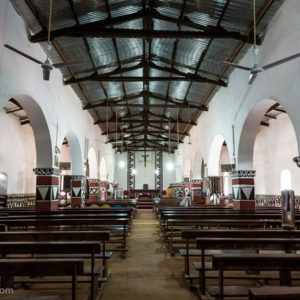 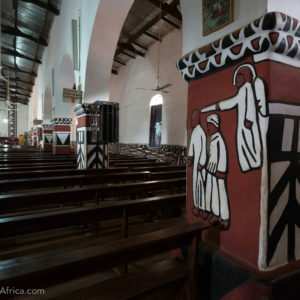 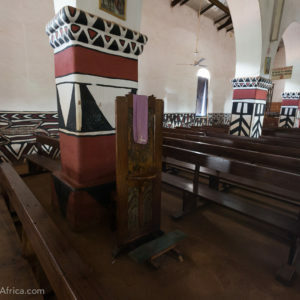 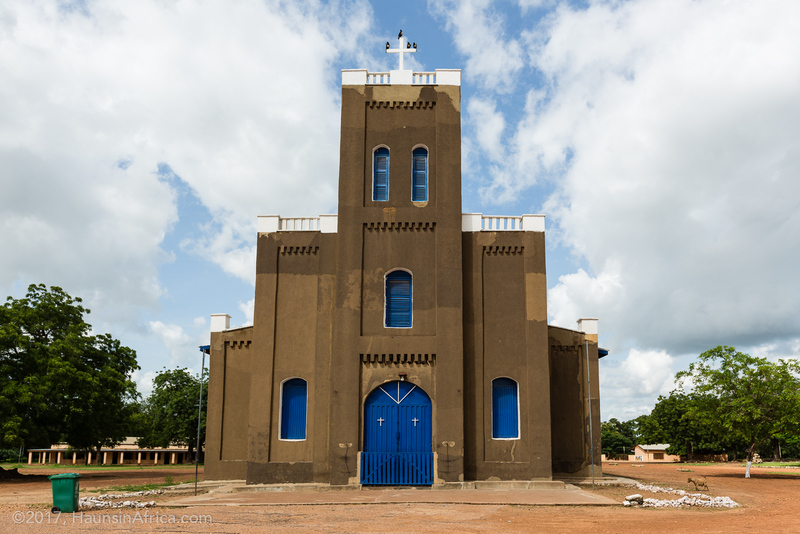 In the far northern reaches of Ghana stands a large cathedral that is a unique blend of European and West African architecture. 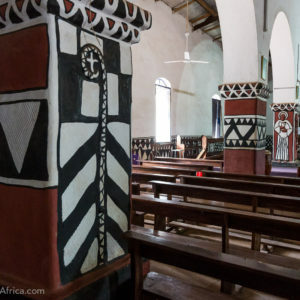 The construction was completed in 1920 and it was built entirely from mud using traditional building techniques of the region. 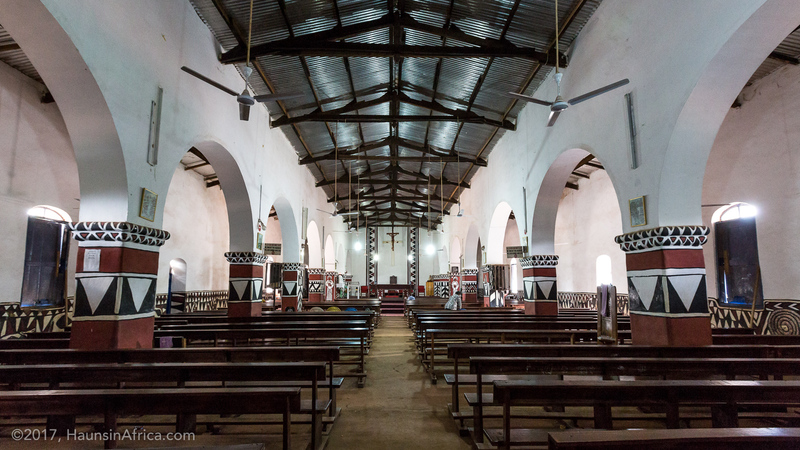 The exterior of the building is impressive enough but I visited it this past week in order to see what was inside. 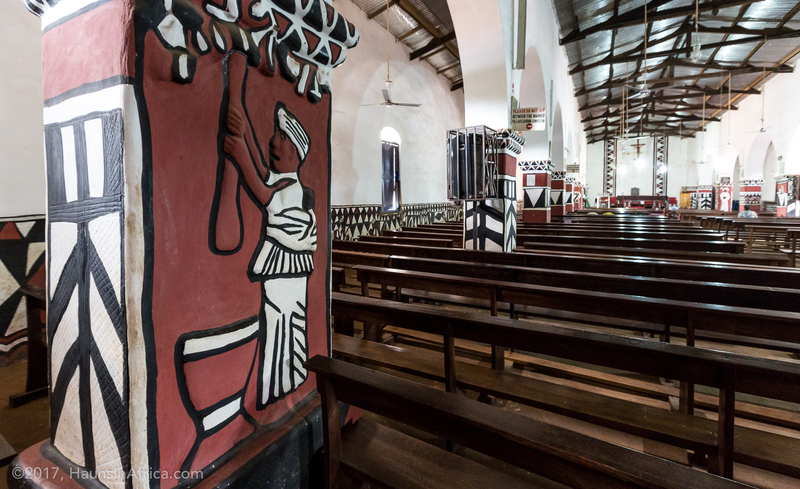 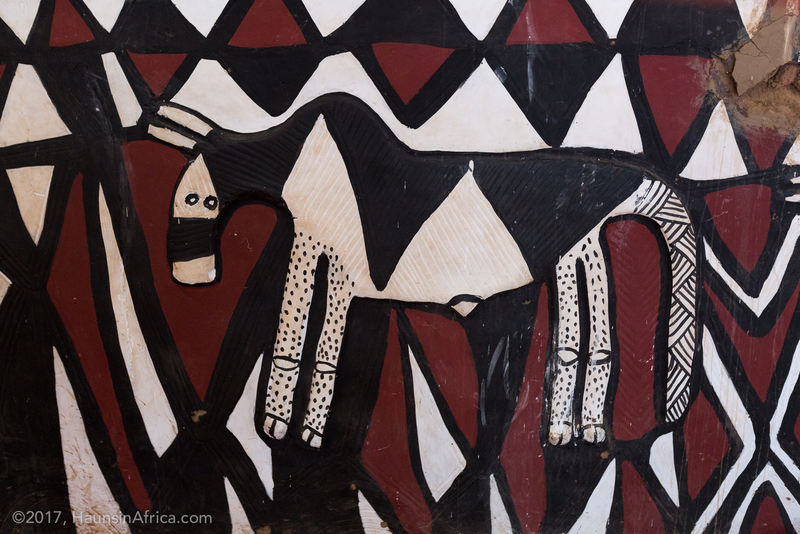 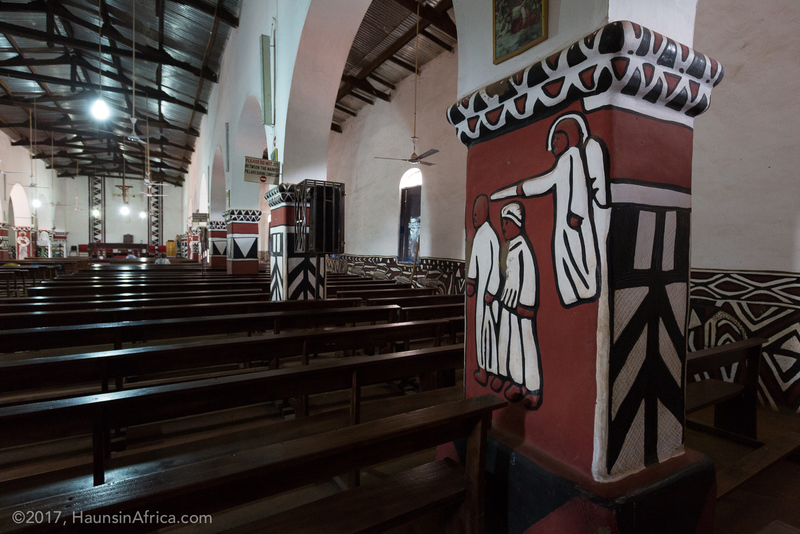 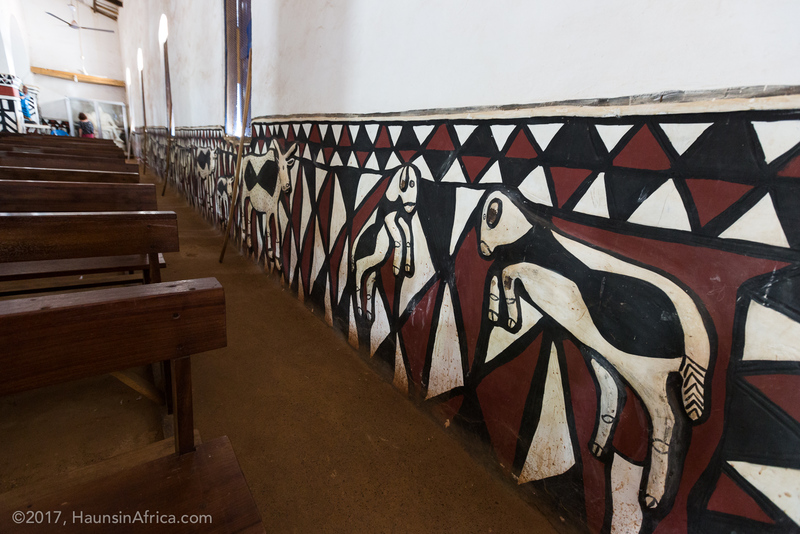 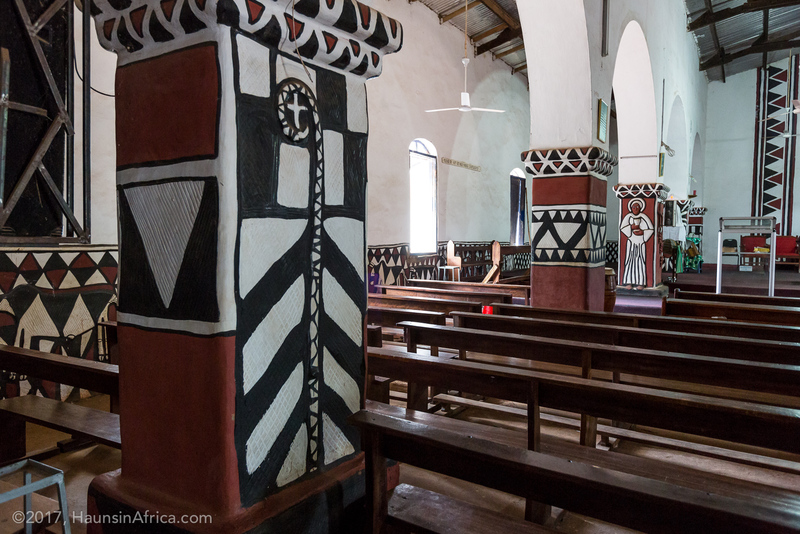 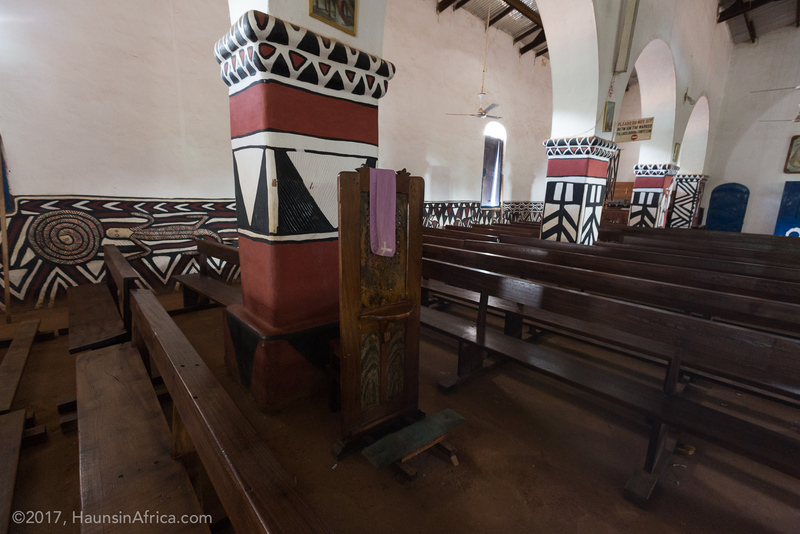 In 1972, the interior was decorated to prepare the cathedral for the consecration of region’s first African bishop. 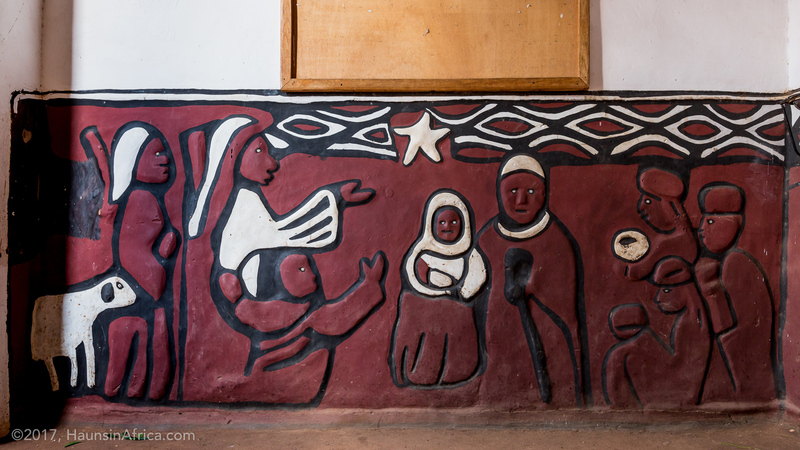 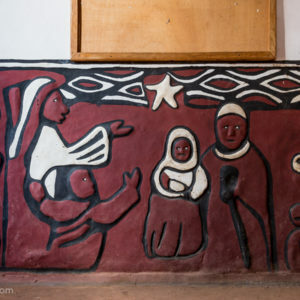 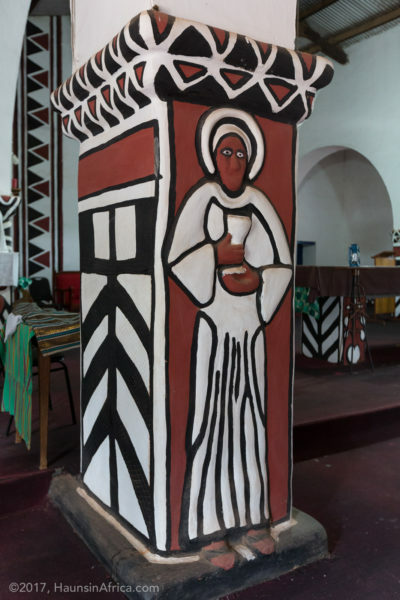 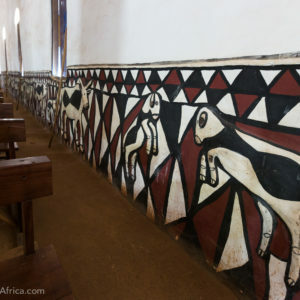 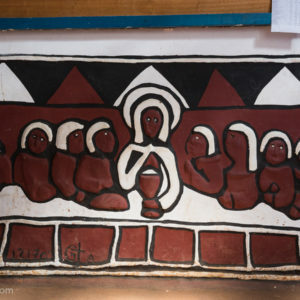 Seven women from the village of Sirigu were invited to create murals and reliefs of Catholic imagery in the traditional style that their community was known for. 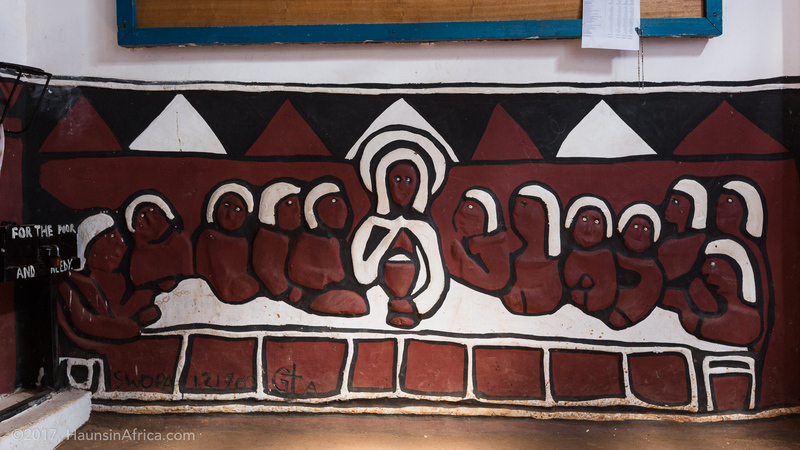 The result is religious art unlike any found anywhere else. 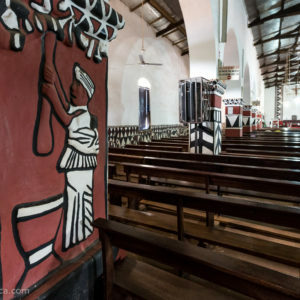 The building is now a registered monument with the Ghana Museums and Monuments Board as well as on the tentative list to be a UNESCO World Heritage Site. 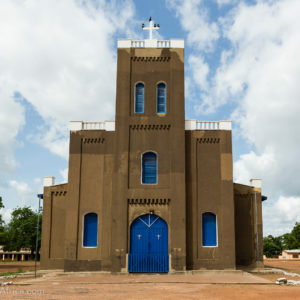 On May 17, 2006, it was elevated to the status of “minor basilica” by Pope Benedict XVI.